Why do only 12% of pros expect storage as a discipline to survive? Businesses are becoming defined by their ability to survive and thrive in the digital economy. 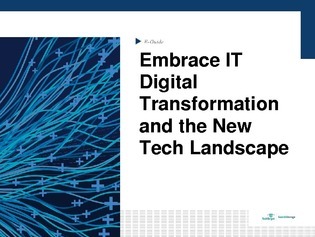 This, in turn has thrust all areas of IT – including storage – into the limelight as they work to direct business goals and initiatives, in a trend known as “digital transformation”. In this expert-guide learn why only 12% of IT decision makers expect storage to remain a distinct discipline, and what you can do to rethink your role in IT to make yourself invaluable to management, and catapult your career forward.